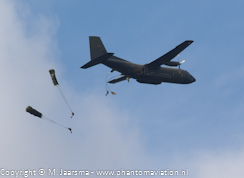 Falcon Leap is an exercise organized by the 11 Luchtmobiele Brigade (11 LMB - 11 Air Mobile Brigade) Royal Netherlands Army for its own and colleague NATO airborne (paratroop) units. The exercise is concluded by the annual WWII Operation Market Garden commemoration jumps held on the third Saturday of September *. 11 LMB organized the first Falcon Leap in 2015. 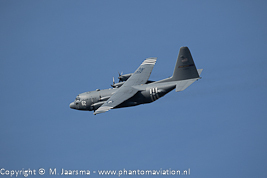 Jumps are made from transport aircraft which are based at RNLAF Eindhoven Air Base. 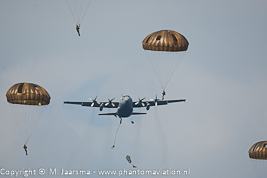 2019 will mark the fifth anniversary of exercise Falcon Leap and the 75th anniversary of Operation Market Garden (commemoration jumps on Saturday September 21). The exercise will run two weeks compared to the one week with three jump days during the previous years. 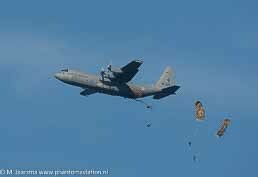 Aircraft: Countries participating with paratroopers are also required to participate with a transport aircraft. Countries listed in the table (2019) will take part in the exercise and Market Garden commemoration. Therefore aircraft from these countries are expected but the aircraft type and its unit have To Be Confirmed (TBC). An article about Falcon Leap 2018 will be published here by the end of 2018. 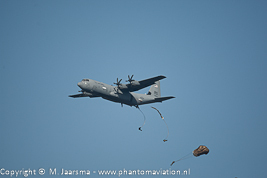 Exercise Falcon Leap is an international exercise for paratroopers organized by Koninklijke Landmacht (Royal Netherlands Army – RNLA) 11 Luchtmobiele Brigade Air Assault “7 december” (11LMB - 11 Air Mobile Brigade). In 2015 the first edition of Falcon Leap was organized. 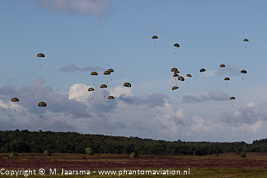 Until then paratroopers from NATO countries flew in for one day to take part in the WWII Operation Market Garden commemoration para jumps at the Ginkelse heide held annually on the third Saturday of September (in 2018 the fourth Saturday). 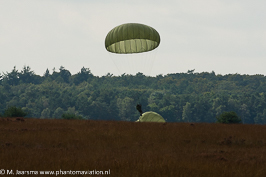 Falcon Leap provides the participating paratroopers three days of training with their colleagues from other countries concluded by the Market Garden commemoration jumps. military aviation terrain Deelen. 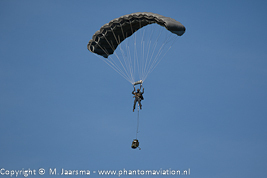 Drops at the first two locations are made with the 'round' parachutes, jumos at MLT Deelen are made with the Military Free Fall (MFF) chutes. 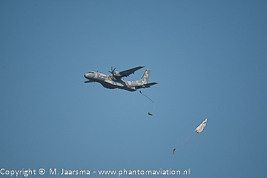 "Round" Military Free Fall "Square"
Para drops at Houtdorperveld and Ginkelse heide can be viewed. Please take note of instructions given by personnel to ensure the safety of both viewers and paratroopers. MLT Deelen isn't accessible for public viewing. 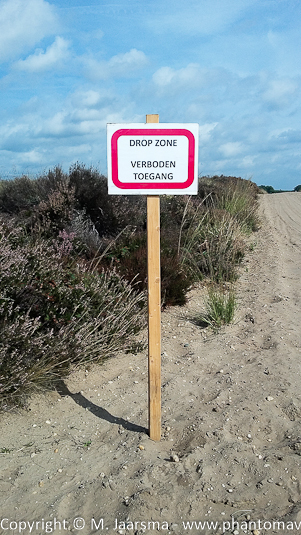 Forbidden access sign marking a boundery of the drop zone at the Ginkelse heide. 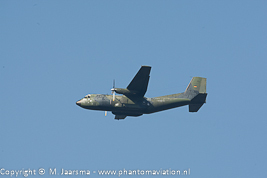 The participating transport aircraft are based at Eindhoven Air Base. Paratroopers board the aircraft which then depart to the drop zones where they will be assigned to a holding track. When called in for the jumps the first run can be a dry run with no para's being dropped. When the para's are dropped runs over the drops zones are made until all para's have departed the aircraft which depending on the number of paratroopers in an aircraft can lead to three or four runs. 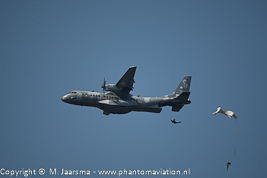 The formation then returns to Eindhoven where to pick up the next group of para's. 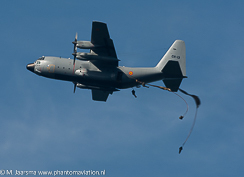 Depending on the allocated time slot and the weather at both Eindhoven and the drop zone three missions per day can be flown.